Narrator: [00:00:07] Very few have seen the planet from these heights. Narrator: [00:00:38] Far above the clouds and even further from the world's problems. It was somewhere 30-years ago when space philosopher, Frank White, called it the "overview effect." For those who have been lucky enough to venture to these heights, they were said to have experienced a profound feeling of awe and responsibility. Narrator: [00:00:58] A euphoric and an equally daunting glimpse of the world as we know it. These views -- these mesmerizing portraits weren't captured overnight. And, while science has brought us a better understanding of how it all works, there's a lot we don't know. And there are questions we may never have the answers to and it all happens -- 12 Miles Up. Ricky Cody: [00:01:31] 12 miles, that's it, that separates you and me here on Earth from the lowest level of our atmosphere. It's called the troposphere. It's where our day-to-day weather happens. It is a complex system of equations with more unknowns than facts. 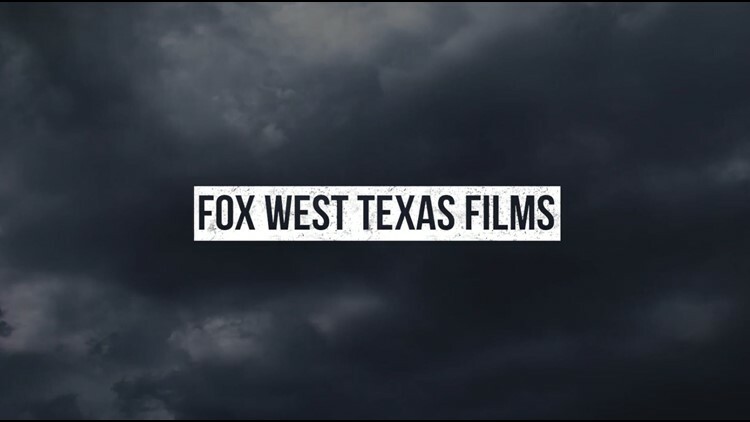 And for many of you who have called West Texas home your entire life, you know how bad it can get when disaster strikes leaving you and your family picking up the pieces. 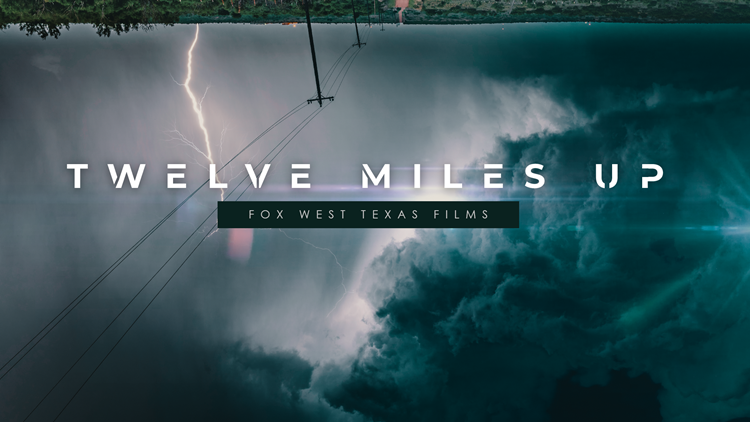 I'm Fox West Texas Chief Meteorologist Ricky Cody and we're taking a closer look at 12 miles up and the real impacts it has in your neighborhoods every day, every season, 365 days a year. To talk more about this, we brought in two people who with more than 60-years of experience have a really good understanding of what we know now and where the future of meteorology and your safety is going in the future. Dr. Steve Lyons is the meteorologist-in-charge of the National Weather Service in San Angelo and Abilene. 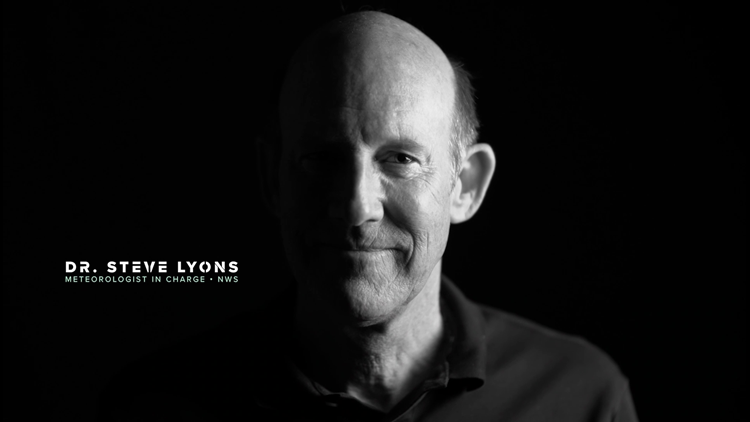 Dr. Lyons has spent his entire career researching tropical cyclones and climatology at nationally recognized research facilities across the country including Hawaii -- his alma mater. Ricky Cody: [00:02:45] His career also took him to The Weather Channel where his expertise helped save lives as Hurricane Katrina hit the South back in 2005. Dr. Lyons now calls West Texas home. Hector Guerrero a meteorologist with the National Weather Service and has dedicated more than 30-years of his career helping weather offices, county emergency managers, sheriffs offices, police and first responders develop plans before severe weather strikes. He works alongside Dr. Lyons and other scientists whose focus, including mine, is to keep you and your family safe. Ricky Cody: [00:03:25] Junction Texas was not named for the intersection of Interstate 10 and highways 83 and 377. Rather it's the intersection of the North and South Llano River that gives it its name. It's a secret tourist destination nestled in the Northwest Hill Country. Many of you frequent here every summer as the weather gets warmer. It has been a great escape for West Texans year after year. 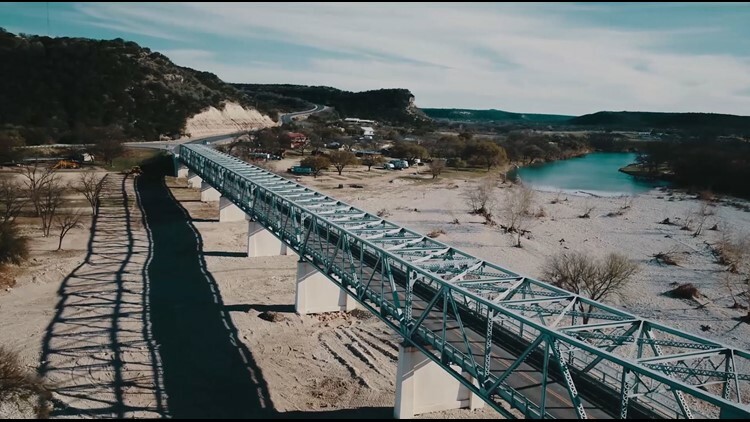 But the powers of these rivers were unmatched in October of 2018 the forecast called for heavy rain, but nobody quite saw what the power of these rivers would do -- forever reshaping this West Texas community. 911 Call: [00:04:07] "I mean our house is almost completely underwater. There's no way we can get out our vehicles get floating in front of us. 911 Call: [00:04:15] They're moving in front of our house and the water coming in the back of the house. There's no way now they're dealing with it now. 911 Call: [00:04:23] Just down at the river. Yes, sir. A lady came floating by for help. Yes. Why aren't you at your bar. Randy Millican: [00:04:36] "Well the night of the flood it looked nothing like this," said Kimble County Deputy Sheriff Randy Millican, "there was nothing peaceful about it. My strongest recollection is hearing the roar of it as it came from the river racing towards us. And the race is a good word because we were racing against time, against it getting here to get all these folks evacuated." 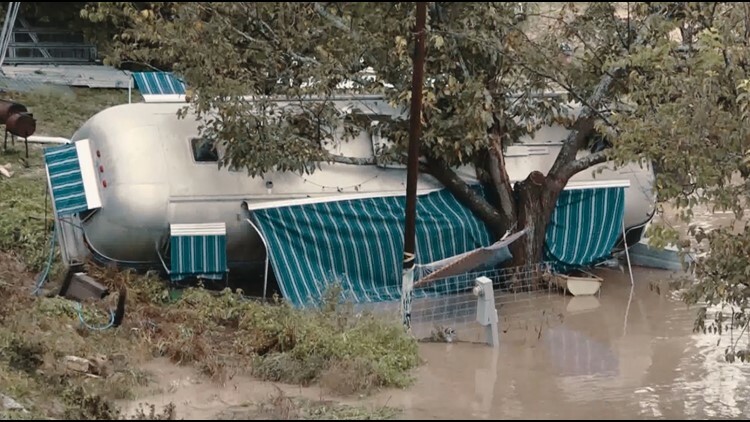 Ricky Cody: [00:05:06] The National Weather Service reported 34-inches of rain that fell in 2018 alone. Far surpassing the average yearly rainfall that they get in Junction, Tex. Dr. Steve Lyons: [00:05:16] "Things change as this soil moisture gets wetter," said Dr. Steve Lyons. Dr. Steve Lyons: [00:05:20] "The amount of rain needed for the flood drops rather dramatically," he added, " it really matters not so much the total amount of rain that falls, but where it falls and how quickly it falls. And so it's the catchments that lead to the rivers and streams." Dr. Steve Lyons: [00:05:36] "If all the rain occurs over that catchment you could get yourself in trouble real fast with it with the streams that go into it.". Randy Millican: [00:05:43] "Probably the easiest way for me to try to understand it is everything I've done up to that point, was something that had already occurred," said Millican. Randy Millican: [00:05:52] "In other words, it was a plane crash, for example, a trench collapse with people underneath tons and tons of dirt a building collapse a major fire. This was something that was ongoing. I mean it was real time. I could look down at my boot and I could actually see the water level rise on my leg as it as the river came down." Randy Millican: [00:06:23] "It's difficult to comprehend nature," said Millican. Randy Millican: [00:06:27] "What we can when we boil it down to the terms of individual humans and their reactions and the one that always comes it will always stay with. Behind me a lady was hanging into out of a treetop," he recalled, "shining her cell phone flashlight at me begging for help and there wasn't anything me or anyone else could do. And then to see her finally be swept away downstream as the light disappeared." 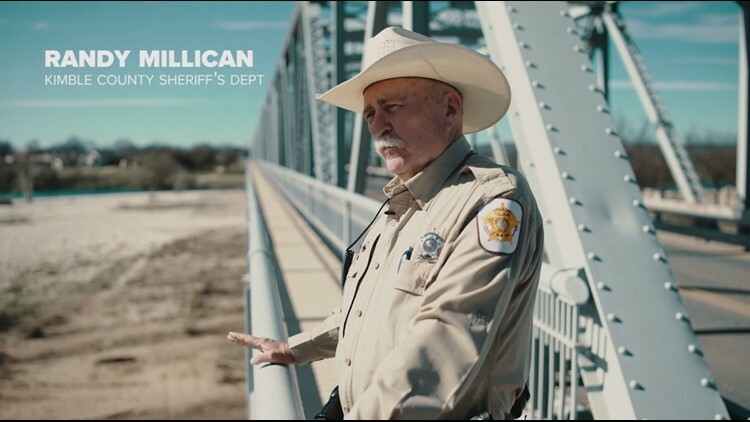 Ricky Cody: [00:07:09] Millican couldn't even begin to fathom what kind of impact this was going to have on his community. In his 40-year career in the first response, this was the worst he's ever seen. But it was when I asked him if he knew where that woman was, if she was okay, or if she was even still alive -- it was his answer that left me speechless. Randy Millican: [00:07:31] "All I can do is tell myself that the one I'm remembering is the one we rescued. I don't know which one it was, but I like to believe it was the one we rescued because I'll know the ending of the story a happy ending to this story," said Millican, "she one tough lady, very tough." Ricky Cody: [00:07:54] It was days after the water receded that people really understood the magnitude this event had on the community. Rocks and sediment lie where the grass once did and debris littered this small town. Randy Millican: [00:08:06] "I think the community always knows they can count on each other," said Millican, "they came to our rescue immediately. We had so many people show up and if they couldn't do something physically, then they would say prayers. All the churches banded together. They would bring food, dry clothes, snacks; whatever they could to heal." Hector Guererro: [00:08:27] "I have to say they already knew that those guys were in my mind they're my heroes," said meteorologist Hector Guererro. Hector Guererro: [00:08:32] "Sadly we lost four people there in the Junction and our hearts and prayers go out to those families still." Hector Guererro: [00:08:37] "They did rescue 60 people which includes evacuation and rescue almost 60 people out of an RV park," added Guererr. "So again, they don't have all the resources as we do here in a big city like San Angelo or in Abilene, but they come together over there. And that's what the secret, is they come together they work as a team and let me tell you I tip my hat to those guys." Ricky Cody: [00:08:59] Since then, additional funding by the governor's office was awarded to the county. The problem is, is that the bill here is pretty massive. So the community is still left to cover upwards of 25-percent. They're hoping that through grant money as well as what FEMA can provide that they could see some improvement in the years to come. But Millican was honest with me and said that in the vibe of that town will likely be changed forever and even the look will never look the same as it once did before the river flooded. 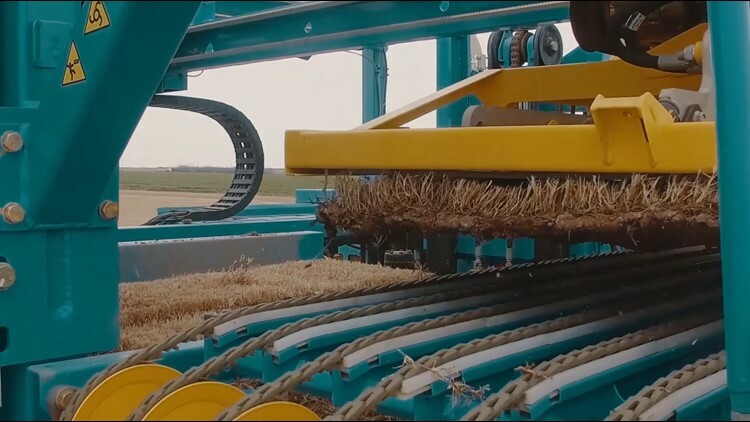 Ricky Cody: [00:09:53] Ask any farmer or rancher but their livelihood is dependent on rainfall. And to be honest, it makes the job of a meteorologist slightly more difficult. Droughts are a major concern in West Texas. Sometimes we get a lot. Sometimes we don't get enough. And in too many times, we get far too little. 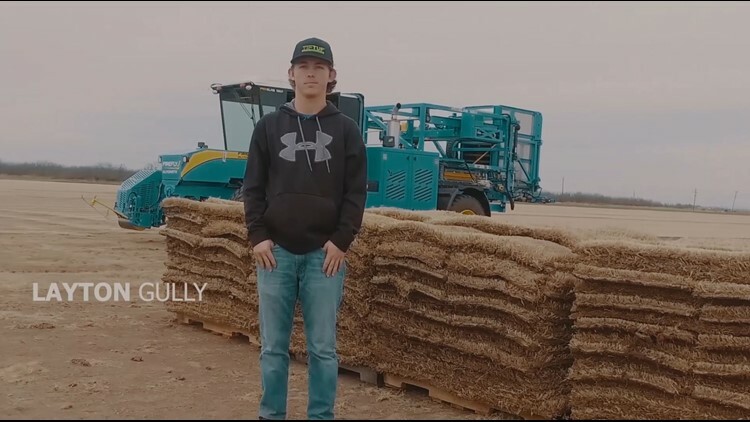 Layton Gully: [00:10:12] "I guess I would say I'm a sod farmer," said Layton Gully. Layton and his family are sod farmers in Wall, Texas. "The climate we're out here like as everyone knows it's kind of more of a dry." Layton Gully: [00:10:26] "A few showers here and there," Gully said, "but we think about the weather like every day that we come out here because it's going to affect. It can affect us every day, and it's always changing." Ricky Cody: [00:10:35] Part of the reason has to do with high pressure. It's a feature unique to the desert southwest. Sometimes it does expand out and it does include West Texas. So you ask the folks here who have grown up making money from the ground, they'll tell you it's not that they've changed what they're doing, but they're tailoring it to the weather around them. Layton Gully: [00:12:29] "We can only do so much until it's up to Mother Nature's hands. And so, in some years yes the weather hasn't cooperated and has kind of been hard on farmers. Whereas other years whenever we get some good rains at the right time, all the farmers can really make a good crop and kind of counterbalance those other ones," added Gully, "you don't even want to call it a fight with Mother Nature because you don't want to fight her because you know you're going to lose every time overall." Dr. Steve Lyons: [00:12:55] "[Farmers] they're always watching," said Dr. Lyons, "I think some of the people that are outside all the time they're the ones that are most knowledgeable." Ricky Cody: [00:13:55] The wildfires in California burned so badly that volunteer firefighters in West Texas dropped everything to help them out. Very few have started fires in the face and even fewer have run right into them. Dr. Steve Lyons: [00:14:04] "A lot of people don't realize it but if you've ever been around a grass fire they move very quickly," said Dr. Lyons, "for somebody that is just out there with a shovel it's impossible to put out the flames and the smoke. Trust me, I've been involved in before." Ricky Cody: [00:14:20] Our climate plays a crucial role in how dry we are and at what time of the year we're the driest. Dr. Steve Lyons: [00:14:27] "Typically what happens is that our inner our wet season we get weeds and grass growing," added Dr. Lyons. "It's in the fall when all that stuff dies and turns to white that it's really dangerous especially when we have high winds and low humidity. Somebody pulls a car over on the side of the road to change drivers and the undercarriage of the car lights out on fire and they drive off never even knowing they started the fire. And it's a raging inferno in a matter of minutes. So, wildfires are a big problem around here particularly in the fall after a wet summer where a lot of that tall grass is really grown up. Rain can be good in the summer and last for a long time for our reservoirs but it can also be very bad for fires in the fall." Ricky Cody: [00:15:15] The Austin Statesman reports that after 2011 the total number of fires and acres burned fell off for the Lone Star state the highest number of fires from 2011 through 2017 was 899 in 2013. 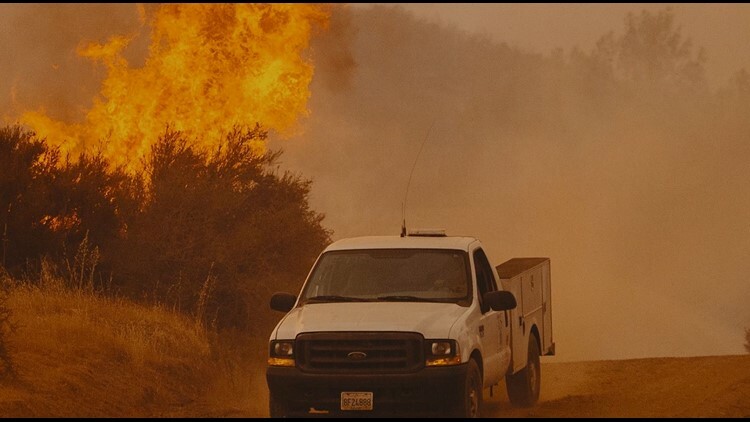 Those fires burned an average of 420 acres. In many cases, these fires start in rural parts of our region away from urban development. Dr. Steve Lyons: [00:15:47] "There's there's no place on earth that doesn't have its own natural hazards that are problematic," said Dr. Lyons, "I think we're getting better forecasting and that doesn't change the impact from that. The only way we can do that is to make sure people are aware of it and take shelter to protect themselves. And we build better and smarter in better locations and just better so that the property is not damaged from these things. And that's a long slow process but it's ongoing." 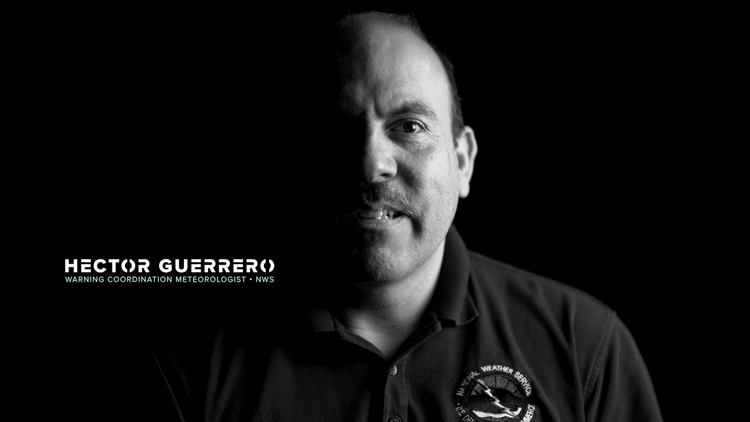 Hector Guererro: [00:16:27] "The Air Force has its own warning, has its own weather forecast office," said Guerrero, "we warn the greater county area, but as far as when it comes to that [Dyess] Air Force Base, they have their own warning service which is totally independent of what the National Weather Service is." Ricky Cody: [00:17:03] The 7th Bomb Wing at Dyess Air Force Base is the Air Force's premier operational B1-bomber. Captain: [00:17:17] "My name is Captain Ben Raback-Schink, I am the weather flight commander." Captain: [00:17:23] "I like the weather because it's like a complex puzzle that's always tended. I mean you don't always have all the right variables and they know that doing," said Capt. Raback-Schink. Captain: [00:17:33] "You know even with all of the data sources that we have in the US, forecasts overseas or over the oceans themselves it's a challenge I think I like the challenge." Ricky Cody: [00:17:44] If you thought forecasting for 12 miles up was difficult in your own country, imagine being deployed to another part of the world. That's the reality for the servicemen and women of the United States Air Force. Captain: [00:17:56] "Our primary focus, in terms of our weather watches and warnings, are the people on this base and the people who work on this base," added Capt. Raback-Schink. 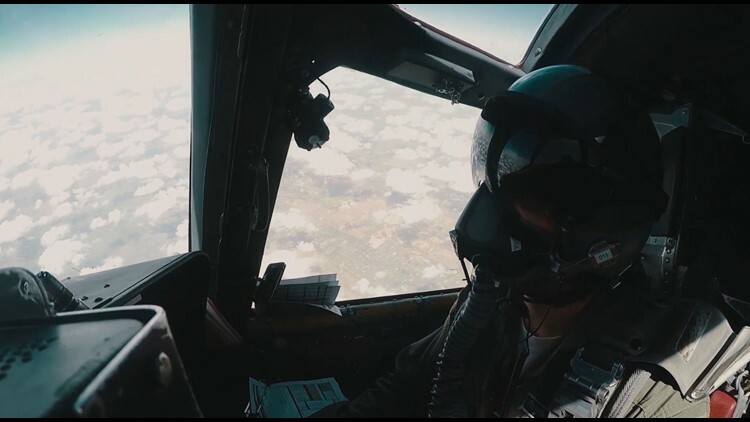 Ricky Cody: [00:18:09] The B1-bomber has served the military since 1985, and because there are so many flights from this base every year, you can imagine that meteorology and correct forecasting is important. It's important not just to the safety of these servicemen and women, but also for the safety of us. Captain: [00:18:26] "We do what's called the deterministic forecast," said Capt. Raback-Schink, "our supervisors really don't want us to come out and say, 'Hey, it might rain, or, hey, there's a 40-percent chance of rain,' they want us to say it is or is not going to rain." Captain: [00:19:04] "People would rather have a percentage to kind of make that risk assessment themselves, rather than having a forecaster who's gonna be wrong a little bit more often because they're giving them a deterministic answer," explained the captain, "it's just a different goal in mind." 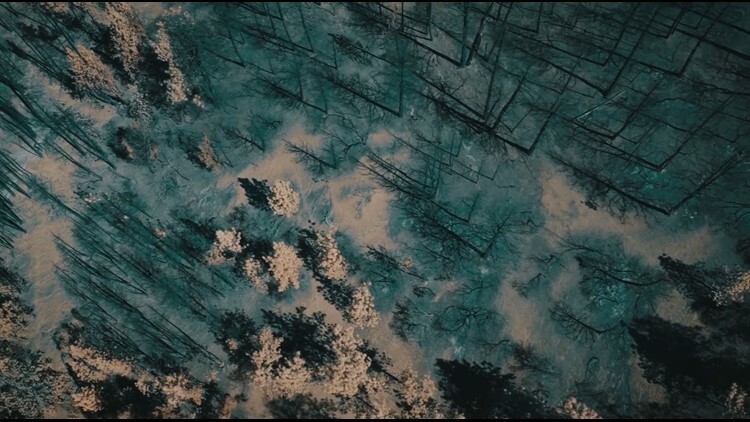 Ricky Cody: [00:19:36] From torrential downpours leading to river flooding, to droughts leading farmers and ranchers praying for rain, to wildfires ripping through towns leaving nothing but ash and memories in its wake -- as complex as our atmosphere is we have made some pretty awesome strides in the meteorology community. Ricky Cody: [00:19:58] Our understanding of radar is much better. We're creating better technology to see things better. We have better geostationary and orbiting satellites that give us a clearer resolution, better images, and in real-time. What the scientific community does well, is identifying a problem and then working towards a solution. Hector Guererro: [00:20:19] "It's extremely complicated to understand the atmosphere," explained Guerrero, "like a doctor understanding the human body. We as meteorologists we have a basic understanding of what that atmosphere does." Dr. Steve Lyons: [00:20:30] "There's always an application of weather to everything you do" added Dr. Lyons, "Everything is tied to weather and weather is always doing things that you don't expect and when you don't expect it that means you can't forecast. And now, of course, we forecast weather for people who are trying to save lives."